"We use this new technique to create materials with programmed stiffness," said Zheng. "Basically, you can program where the modulus is distributed in 3D. With this programming we can achieve morphing capability – to stretch and deform in different directions." Existing 3D printing techniques have limited capabilities in incorporating multiple materials, with the challenge of creating truly three-dimensional, complex architectures with microscale resolutions. 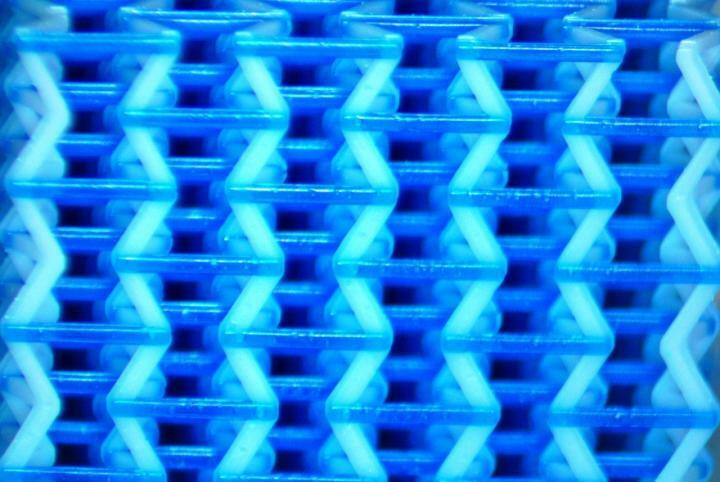 Unlike traditional 3D printed materials of a similar base material, multimaterial metamaterials can have varying rigidity distributed throughout – from a soft elastomeric to a rigid brittle within the 3D lattice framework.